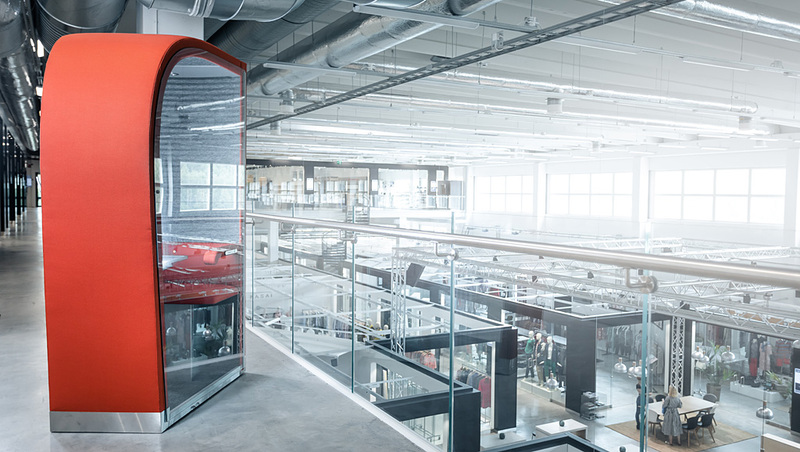 Cell phones have made phone calls possible from any location, but the Finnish designer Antti Evävaara is bringing back the phone booth — and putting it in open-plan offices. The boss is talking loudly into her phone, the secretary is having a laugh with a customer, and the coworker across the way is banging away on his keyboard — just about everybody knows such situations from open-plan offices. Phoning in such surroundings, and especially in privacy, is just about impossible. The only solution is to head for a phone booth. No, not the traditional phone booth that is only rarely found on the sidewalk anymore. 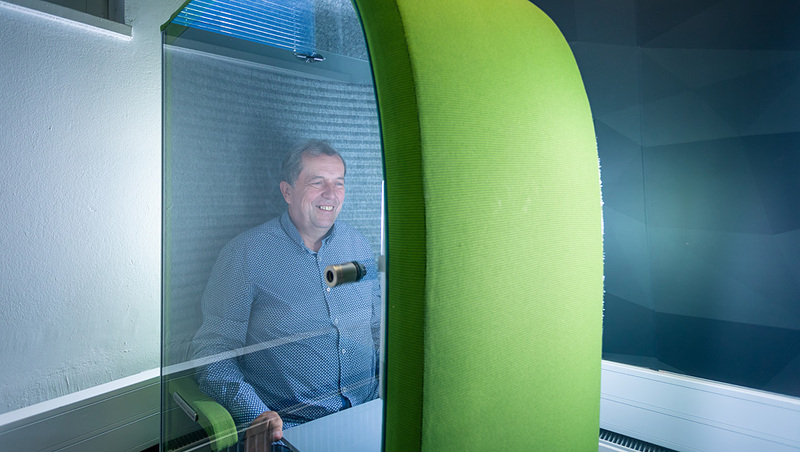 These phone booths are true designer items for the office: the Silence Phone Box and the Silence Stand Box from Evavaara Design, the product line by the Finnish designer Antti Evävaara. His Pesä chair with five legs made it into the Design Museum in Helsinki and made Evävaara famous in the 1980s. Four walls and a door shield the user, and a chair and a table round out the workspace. 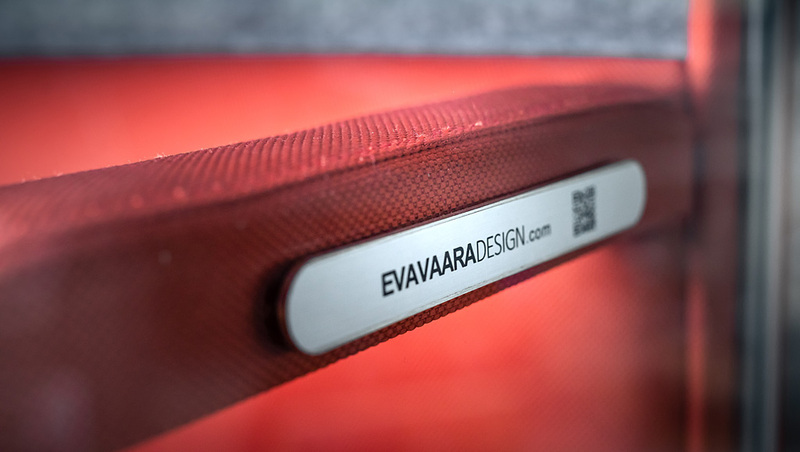 On request, Evavaara Design also integrates a videoconferencing system. All of this makes the Box perfect for working in peace for long periods — when the air is good. So ebm-papst replaced the AC tangential blower with a stronger RadiCal centrifugal fan. 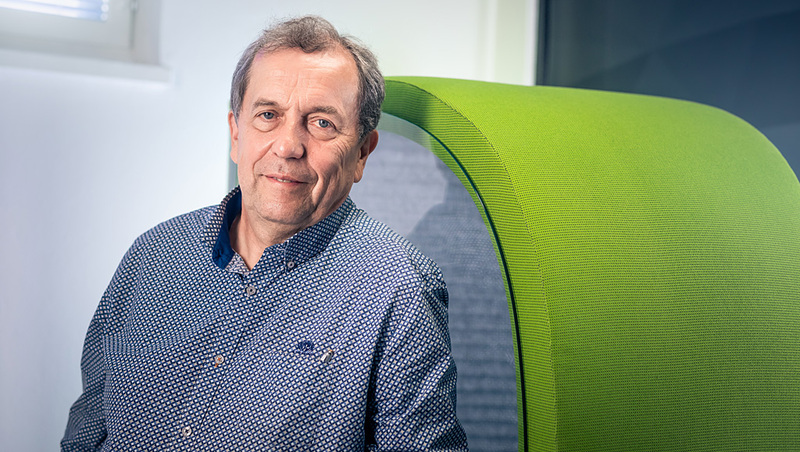 “We adjusted the EC fan’s air flow so that the air quality was good but its noise level was as low as possible,” says Blåfield. Evävaara borrowed the sensor, tested the new fan a bit more, and then decided to integrate it into the Silence Phone Box. He also uses the centrifugal fan in his latest product, the Silence Stand Box, which is designed for short phone calls made while standing. “The air is exchanged completely within a minute, and you don’t even notice it,” says Evävaara proudly. And so people can stay productive longer. 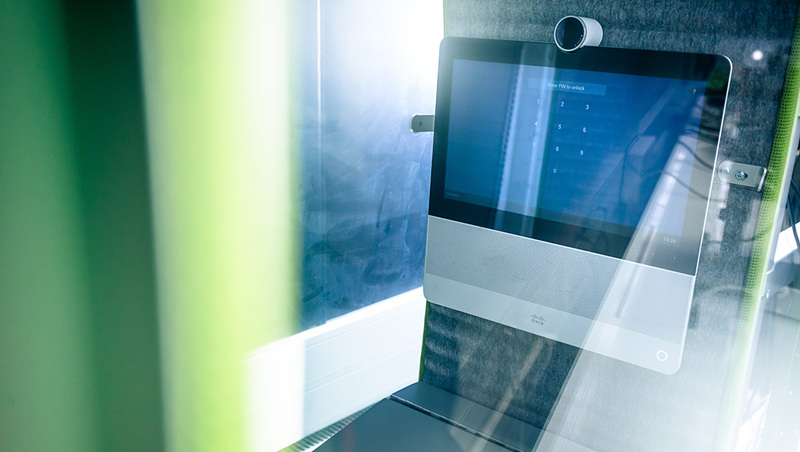 The Silence Phone Box has been installed in the offices of Finnish real estate agents, in law practices where confidentiality is obligatory, and in open-plan offices at Google in London and Paris. 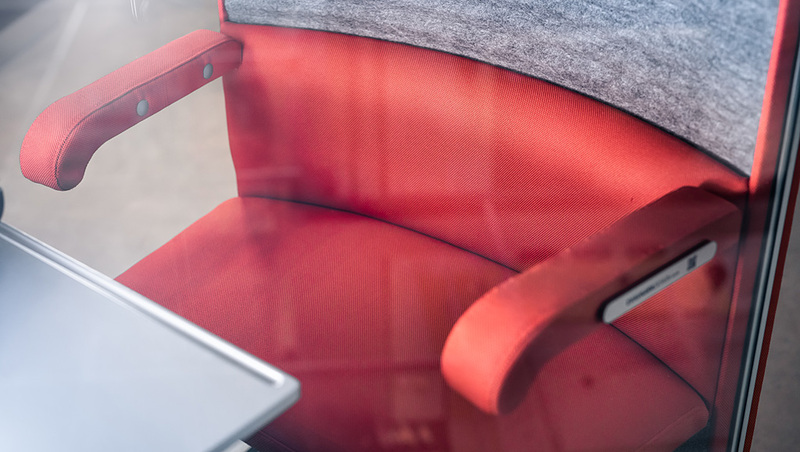 “The ones at Google are blue outside, have a red seat, and yellow and green handles,” says Antti Evävaara. The designer considers it important that the Boxes are not merely functional but are also high-quality furniture. 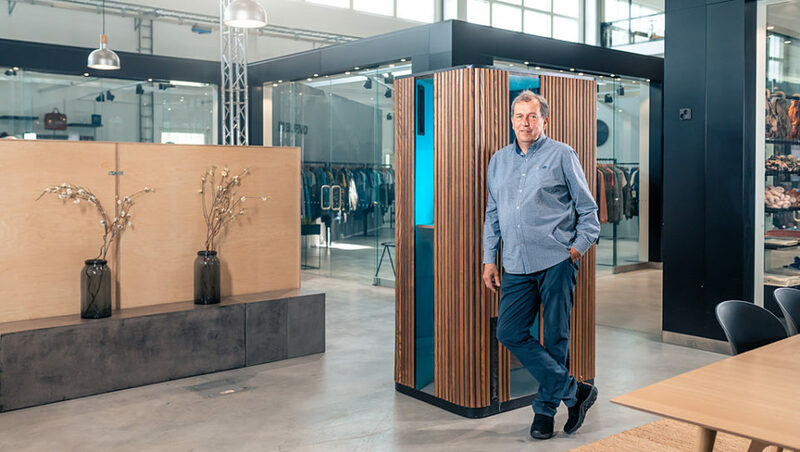 “The customers can select the materials — from wool to leather — and colors for the Phone Box themselves,” he says. Many different kinds of wood are used for the Stand box. 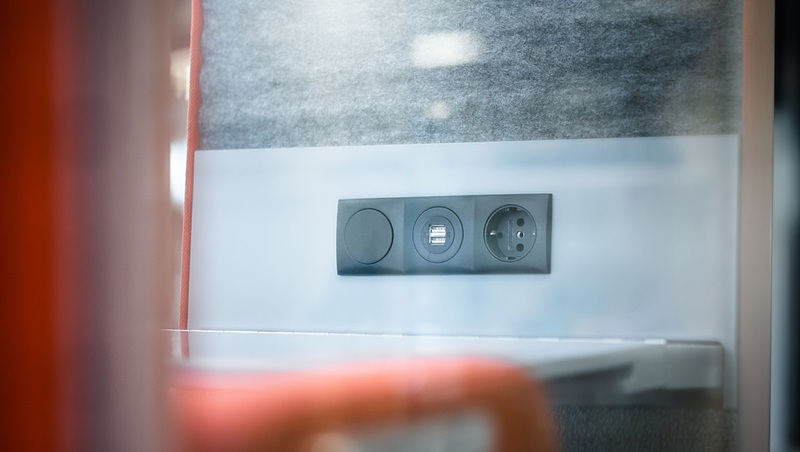 Evävaara has designed six different Silence products for various purposes. All have one thing in common: They promote harmony where many people come together, and they make our loud world a little quieter.